Anyone who owns a dog knows how important they are as part of the family, and it’s always good to know of places that will welcome our four legged friends. That’s why my luxury beach houses offer dog friendly holiday rentals in West Sussex. Picking holiday accomodation that accepts the family dog can be tricky, as many don’t want potential mess, or their properties just aren’t suited to the needs of an animal. However, at Luxury Beach House Rentals, we appreciate that so many dog owners ensure their pets are clean and well behaved, and so all of our properties welcome dogs. We pride ourselves on providing the ideal luxury break for families, and for many that means that everyone comes, including the family dog. 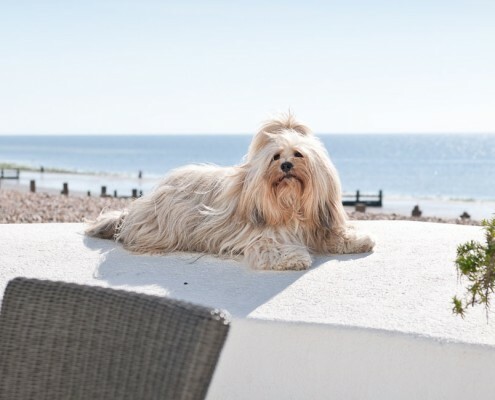 Our location lends itself to being a haven for man’s best friend, as the beach itself is dog friendly all year round. Walks along the coast in either direction are perfect to enjoy the scenery, and know that your dog is experiencing a new place too. In winter, a stroll with your four-legged friend along the seafront on your doorstep will blow the cobwebs away, and in the summer, the beach is there for ultimate relaxation – and there’s potential for some doggy paddle too! With the downs just a short distance away, there’s every opportunity to grab your walking boots and head out to explore with the pooch. 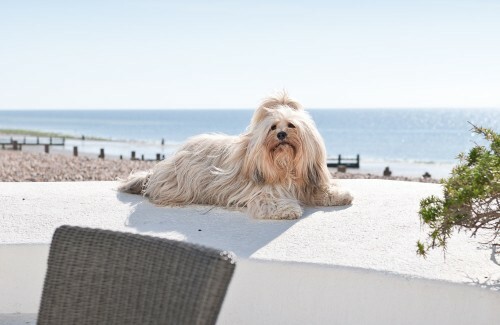 Thanks to our ideal location and the fantastic private outdoor spaces at each property, we’re proud to be dog friendly holiday rentals in West Sussex. Enquire now to find out when you and all your family (including your tail-wagging companion) could enjoy the perfect seafront break.